Everyone has the right to grow up in a healthy and nurturing home environment. No one should live in fear. If you have experiences that make you feel uncomfortable, unsafe, or hurt, there may be something wrong in your home environment. If your parents or caregivers harm you on purpose, tell you that you are depraved or worthless, touch you in ways that feel violating or uncomfortable, or withhold food, what you are experiencing is wrong. Our organization was founded by adults who were homeschooled as children. Some of us had parents who treated us well; others of us had parents who mistreated or scared us. If you are a homeschooled student and your parents are not treating you right, we are truly sorry to hear about your situation. We want you to know that you are not the problem. You are never to blame for the way your parents or caregivers treat you. You may have been told that social services will take you away from your parents if you say anything about your situation, and this may worry you. Please know, however, that social services tries very hard to only remove children from their parents if there is clear impending danger. Social services places a priority on keeping families together when at all possible. In all likelihood, if social services receives a report about your family they will focus on working with you and your parents to make your family healthier and improve your home. You may know that your home environment feels off or that you are unhappy, but you may not have words to express that feeling. In some communities, parents use words like “necessary” or “godly” or “punishment” to describe actions that are actually harmful to their children. They may claim that what they are doing is good for you. If you are unsure whether or not what you are experiencing is normal, you may find it helpful to read more about what constitutes abuse and common warning signs of abuse. If you are not uncomfortable labeling what is happening to you abuse, that’s okay too. You can take advantage of the resources here without calling what is happening to you abuse if you are not comfortable doing so. If you are afraid of your parents, if your home life is full of yelling and stress, if punishments seem capricious and you feel like you are walking on egg shells, if you feel the need to protect your siblings from your parents, it does not matter what you call it, something is wrong. If you are being abused or feel otherwise unsafe or unhappy, please reach out to someone you trust—a friend, a family member, a relative, or some other figure in your life that can help you. When something is wrong in your home environment, having outside adults to support and encourage you is very important. You should not have to be alone. In some cases it may be helpful to look for support outside of your parents’ social circle. A distant relative, a librarian, a neighbor, someone at church who doesn’t follow the rules as strictly, or even the person in the next stall at the farmer’s market may be more willing to listen to your story than someone who already has strong ties to your parents. You can also ask a trusted adult to make a report about how your parents are treating you to social services. Some individuals, like doctors, teachers, or therapists are required by law to report suspicions of abuse. These individuals should already know how to make such reports and what questions they should ask you first. Other adults may report reasonable suspicions of abuse as well, however. Don’t be afraid to ask. If you have access to a phone, you may be able report the way your parents are treating you to social services. Reports are anonymous and confidential. The phone number for reporting child abuse in your state is listed here. If you are unable to find the number or are worried about making such a call, you may be able to receive advice or other help by calling the National Child Abuse Hotline at 1-800-422-4453. 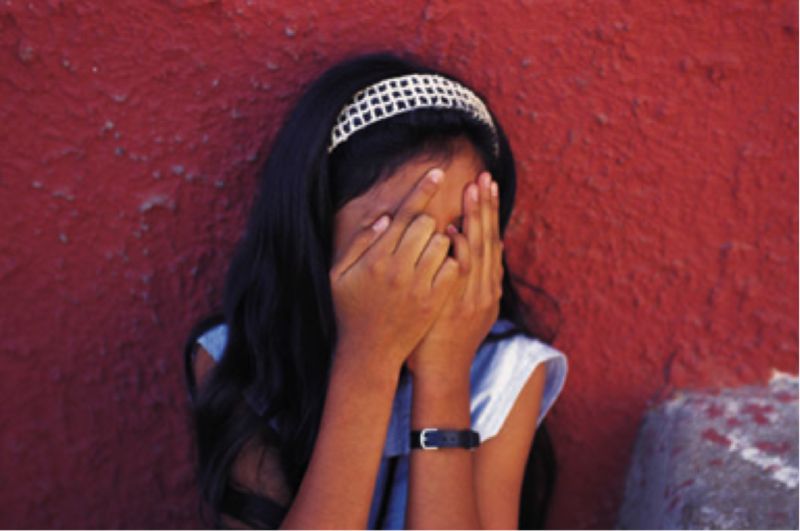 Reporting your abuse to social services can be a scary and daunting step. You may have been taught to fear social services. Please understand that it is social services’ job to make sure that children are safe, and that their parents do not hurt them. They are trained to work with children and are there to help you. Be honest with social workers and other social services personnel about your fears. Social services does not usually remove a child from the home unless there is clear impending danger. However, if you want to be removed from the home or are afraid of what might happen if your parents find out you called social services, you may explain these concerns while making the report and ask to be removed from the home. If you are a homeschooled student growing up in a home characterized by fear, you are not alone. There is a whole community of homeschool alumni at Homeschoolers Anonymous, many of whom have backgrounds like yours. As you grow older, you may want to look at Homeschool Alumni Reaching Out (HARO), which provides informative links for homeschool graduates transitioning to adulthood. We asked several homeschool alumni who grew up in troubled home environments what advice they would give to homeschooled students in similar situations today. You are not alone, and your life is not over. It is only just beginning. Reach out for support. Believe in yourself. You are important and your dreams matter. This advice is designed for homeschooled students who have problems at home. If you are being homeschooled but not being taught, we have more advice for you here.